In Part 1 of How to Read Music like a Pro, I talked about what sight reading is, why it’s important, and why it’s a common challenge for many musicians. 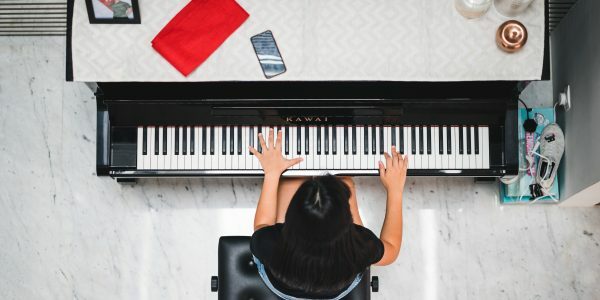 In Part 2 of How to Read Music like a Pro, I mentioned the most common sight reading books used by teachers, and how to choose the material that is right for you. In the 3rd and final part of How to Read Music like Pro, I will give you tips on how to successfully sight read material. Now that you have determined your sight-reading ability and chosen material that is right for you, it’s time to play! 1. Look at the key signature and remember what keys are altered with a sharp or flat! 4. Look for patterns, such as sequences (a motive or musical idea repeated at a different pitch), chords, scales, etc. Realizing these patterns requires some analysis, so it’s helpful to have a basic understanding of music theory. This will greatly help you no matter what instrument (including your voice!) you use. 3. Don’t think about the names of the notes as you play – instead, you should be counting steadily in your head to maintain a steady tempo. 5. Play with as much confidence as you can muster – believe you can do it! The GOLDEN RULE OF SIGHT READING: Never stop playing! Sounds simple enough, but it runs counter intuitive to how we practice the piano. We have an instinct to try to fix or correct whatever we know we made a mistake on. But what examiners (and your band or duet mates are looking for) is someone who can keep on playing without missing a beat. So what should you do if you make a mistake (ie. something sounds “funny”)? I end with this Confucius quote : I hear and I forget. I see and I remember. I do and I understand. After all the tips and ideas, the only way to improve your sight reading ability is to practice it a lot! (like weight loss, there is no quick and easy solution!). Great sight readers are those who have practiced and worked on it consistently and patiently. The only question is, are you content to be”okay” at sight reading, or do you want to be a master sight reader? Next Post Poll Time – what influences you to choose your music teacher?